By submitting the Account Application Form you warrant that to the best of your knowledge, after due inquiry, you are permitted by the laws of your jurisdiction of residence to access the Subscriber Content. GSX gives no warranty as to the accuracy, completeness or reliability of any information, opinions or forecasts contained in the Subscriber Content. GSX shall have no liability for any direct, indirect, consequential or special losses or damages of any kind whatsoever arising from or in connection with the access to, use of or linking to other websites ("Linked Websites") from this GSX Site. GSX is not responsible for the content of any Linked Websites and accordingly accepts no liability with respect thereto or for any reliance placed upon such Linked Websites. The Subscriber Content has been provided for informational purposes only and may not be relied upon by any person in evaluating the merits of investing in any securities or interests referred to in it. It is not intended as and is not to be taken as an offer or solicitation with respect to the purchase or sale of interests in any Listed Fund, nor does it constitute an offer or solicitation in any jurisdiction, including those in which such an offer or solicitation is not authorised or to any person to whom it is unlawful to make such a solicitation or offer. Interests in some or all Listed Funds may not be suitable for certain investors and, in particular, are unlikely to be suitable for private individuals. The Subscriber Content is provided for information purposes only and does not constitute a solicitation or offer, or advice or recommendation, to buy or sell interests in any Listed Fund, to effect any transactions, or to conclude any transaction of any kind whatsoever. The GSX Site and the Content are not directed at or intended for distribution to any person (or entity) who is a citizen or resident of (or located or established in) any jurisdiction where the use of the GSX Site (or the purchase or sale of the Listed Funds) would be contrary to applicable law or regulation or would subject GSX to any registration or licensing requirement in such jurisdiction. 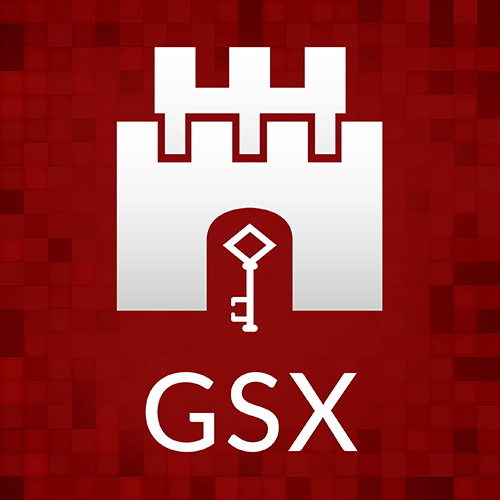 Persons who wish to access any part of the GSX Site are required by GSX to inform themselves about and to observe any legal or regulatory restrictions which may affect their eligibility to access the GSX Site or to subscribe for interests in the Listed Funds. Professional advice should be sought in cases of doubt. Information for investors in the European Union ("EU") and European Economic Area ("EEA"): In relation to each member state of the EU and EEA (each a "Member State") which has implemented the Alternative Investment Fund Managers Directive ("AIFMD") (and for which transitional arrangements are not available or are no longer available), this GSX Site and Content may only be accessed and the interests in the Listed Funds may only be offered or placed in a Member State to the extent that: (1) the Fund is permitted to be marketed to professional investors in the relevant Member State in accordance with AIFMD (as implemented into the local law/regulation of the relevant Member State); or (2) this GSX Site and Content may be otherwise lawfully accessed and the interests in the Funds may lawfully be offered or placed in that Member State (including at the initiative of the potential investor). In relation to each Member State of the EEA which, at the date of this document, has not implemented AIFMD, this GSX Site and Content may only be accessed and the interests in the Listed Funds may only be offered or placed to the extent that this document may be lawfully distributed and the interests in the Listed Funds may lawfully be offered or placed in that Member State (including at the initiative of the potential investor). The Content and the Listed Funds that are described or appear on the GSX Site are not intended to be accessed by United States citizens and corporations incorporated in the United States.